Eursap to plant 2000 trees, creating a hectare of new forest. As part of our long-term partnership with The National Forest, Eursap will be planting 2000 trees to create a hectare of new forest in 2016. Since our incorporation in 2009 Eursap has strived to be an SAP Recruitment Agency with a difference. As part of Eursap’s CSR policy we have promised to plant a tree in The National Forest for every SAP Consultant we successfully place. Eursap’s employees will take an active part in the tree planting at the start of the next planting season (Jan-Feb 2016) within The National Forest. 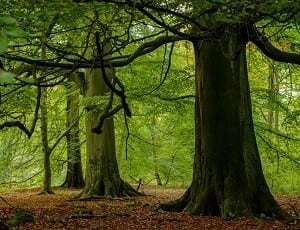 The National Forest, is a new wooded landscape stretching across 200 square miles of Staffordshire, Derbyshire and Leicestershire in the UK. Where there was once a predominantly industrial landscape on former coalfields now, tree by tree and woodland by woodland, a vast new forest is growing. Healing devastated land, the forest is achieving major ecological benefits and providing huge benefits to local wildlife.